For US customers please visit here. 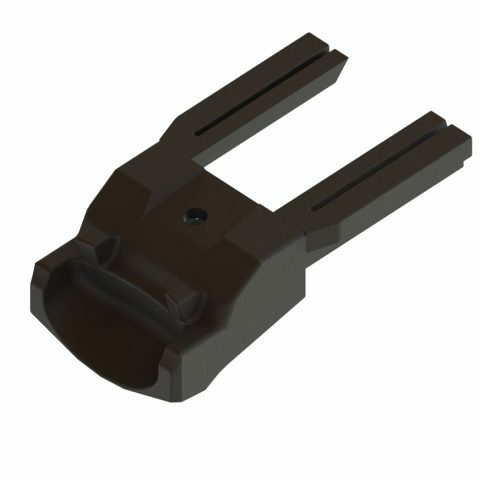 K13: FN FNP9, FNX Also fit 1911 wide tail (disables rear safety). Kidon™, Modular Pistol Conversion Kit System that can Fit Multiple Pistols like GLOCK, SIG SAUER, CZ and many more. Over 100 Different Pistols and counting can all fit in 1 Kidon™ system, In order to change between different pistol manufacturers, there is a simple interchangeable adapter located in the rear of the Kidon™. 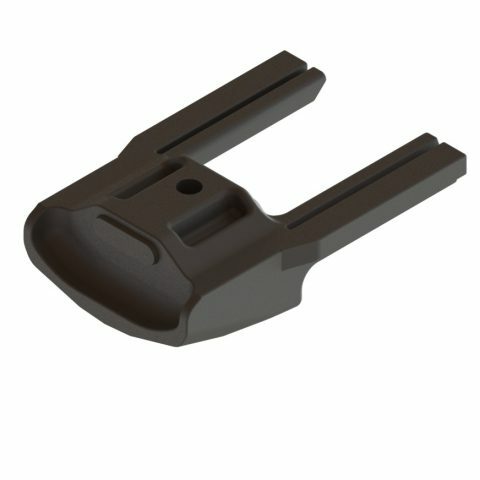 Kidon™ is ambidextrous and can be modified for right and left-handed shooters by easily adjusting the charging handle. Pistols with upper flash disposal can be fired from inside the Kidon™ with no damage to the system or pistol. Reduced Recoil Smart Shock Absorber Technology Built Into Rear of Kidon™ System. 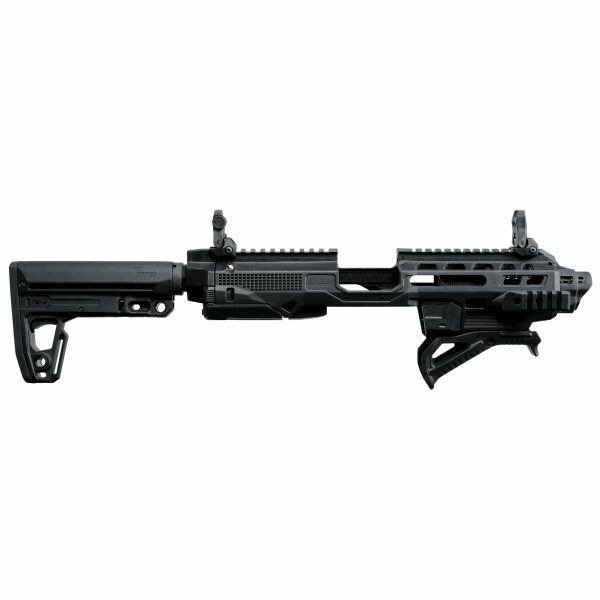 Ergonomic Design Provides the Ultimate Stability and Accurate Shooting Results. 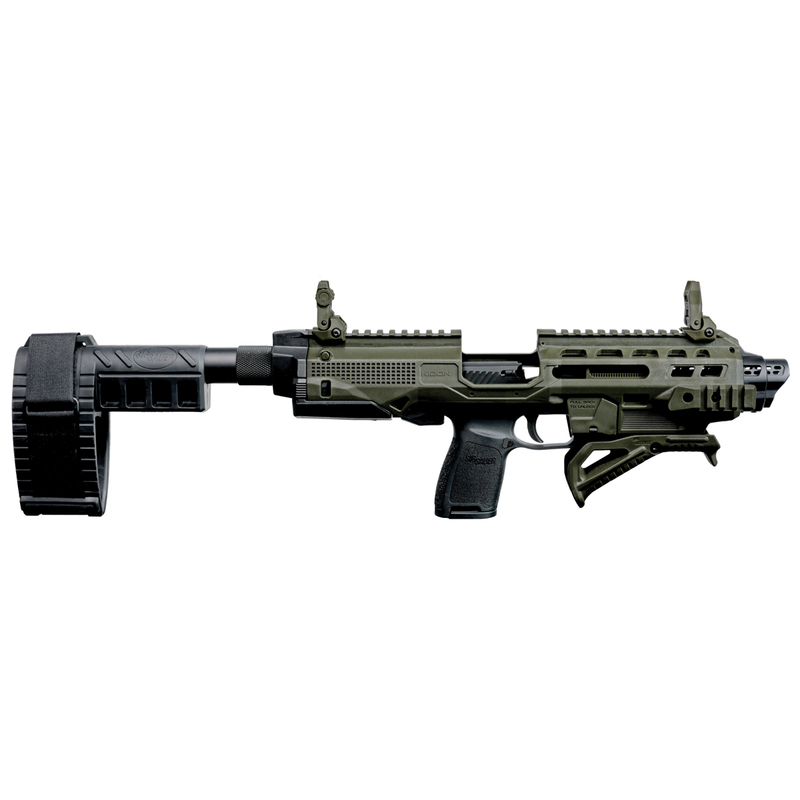 Kidon™ Includes an Ergonomic Front Angle Grip and Tactical Back-Up Flip-Up Sights (Front and Rear). 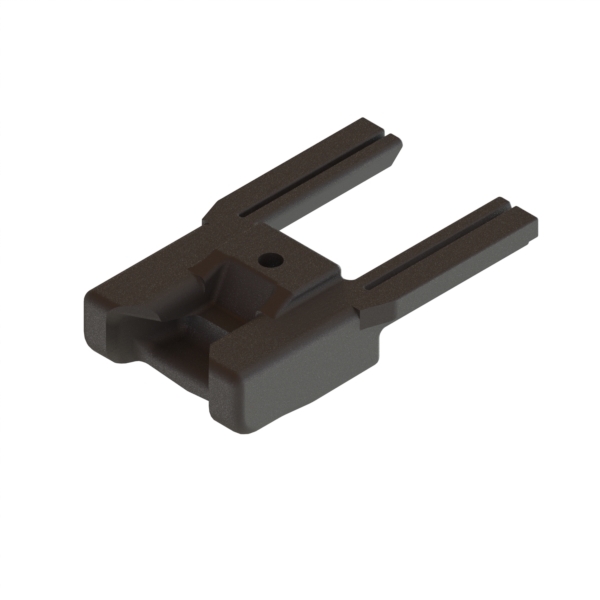 Picatinny Rails at the 12, 3, 6, and 9 o’clock Positions, for Mounting Sights, Optics, Tactical Lights, Lasers, Grips and other Accessories. Kidon™ was Tested and Proven with High Results in Very Rough Conditions, Snow, Water, Dust, and Mud. The Kidon™ System was tested in Israel with Shooting 15,000 Rounds of 9mm and 5,000 Rounds of .45 Caliber Ammo without any Issues or Damage to the Kidon™. These results bypass the Competition. 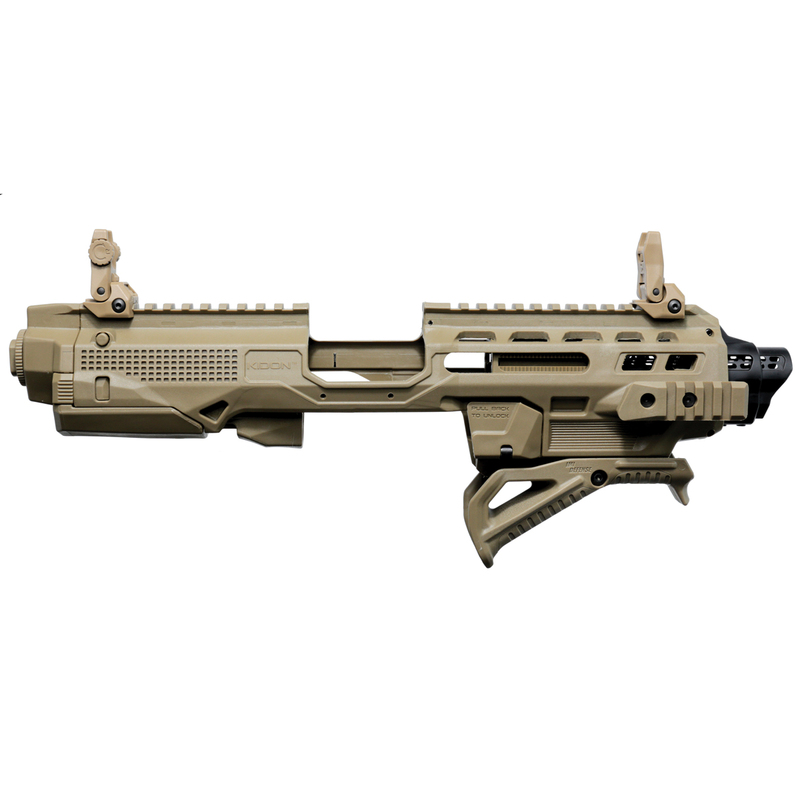 The Kidon™ is selling worldwide to Military Forces, Tactical Teams, Large Weapon Manufacturers and Civilian Personal Defense at a successful rate.